This module has been designed for researchers and healthcare professionals who want to improve health or healthcare by changing the behaviour of the public, patients or professionals. Achieving sustained behaviour change is difficult and often requires interventions that have multiple interacting components. Developing these ‘complex interventions’ is challenging and requires new methodological approaches that have evolved rapidly over recent years. The module is suitable for researchers, healthcare professionals, intervention designers, managers and policy makers. A background in psychology, behavioural science or a related discipline would be advantageous but is not essential. Promote understanding of systematic, theory-driven approaches to the development of complex interventions. Provide opportunities to engage with specific methods and reflect on the challenges involved in their application. Encourage critical reflection on the strengths and weaknesses of the dominant approaches and examine alternative perspectives. 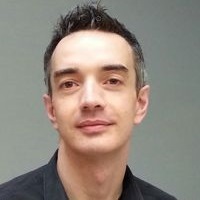 Martin is a Chartered Psychologist and joined City University in November 2010 as the Project Coordinator for two large cluster RCTs of telehealth and telecare. Martin previously worked at University College London (UCL).